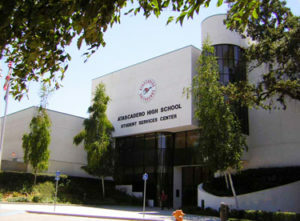 At 7:56 a.m., police received notification that a juvenile posted a threat to Atascadero High students on social media. The school resource officer managed to quickly identify the juvenile, and officers arrived at his home within about 15 minutes, according to the Atascadero Police Department. Officers contacted the juvenile suspect and confirmed that he made the social media post and that he acted alone. Police took the suspect into custody and booked him into juvenile hall. Police conducted a joint investigation with the Atascadero Unified School District and determined Atascadero High students were safe to return to normal school operations. The “shelter in place order” was lifted. “Im shooting up the school tomorrow during the walkout. Are you? Im going to enjoy every scream and every tear. Are you? We are NOT going to stop. We are NOT going to give up. We will NOT stop till every living thing on the campus is dead,” the Instagram post states. Nonetheless, some Atascadero High students reportedly walked out as part of the planned protest against gun violence. The police department had deployed additional officers to various Atascadero Unified campuses Wednesday in conjunction with the walkout.